WELCOME TO SOCAL HIGH LIFE TOURS. Do you know how your favorite Cannabis is grown an concentrates extracted? Ever wonder what goes on behind the scenes of SoCals best dispensaries and headshops. 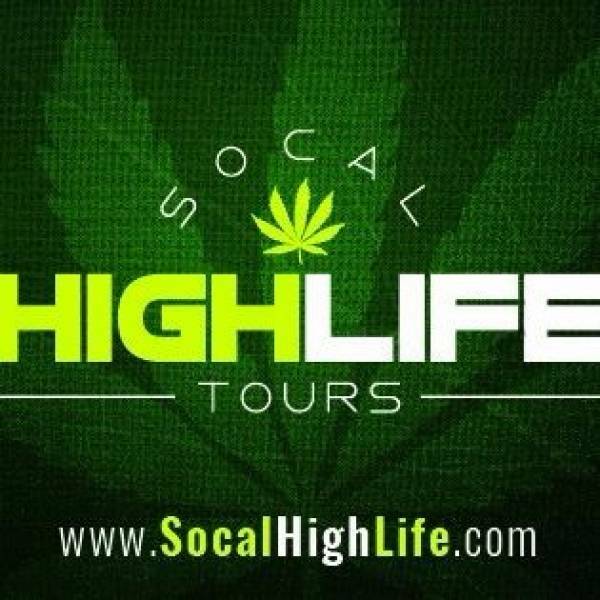 Well California's recent legalization of recreational marijuana has made it possible for So.Cal High Life Tours to offer Cannabis Enthusiasts a chance to experience it all. So.Cal High Life used their 20 years of insight and knowledge in the Cannabis Industry to team up with Southern California's best growers dispensaries headshops 420 friendly businesses and locations to create a legal an safe 420 infused sightseeing mind altering trip. Guest journey will start aboard High Life's 420 friendly luxury party bus which will cruise down Highway 420 stopping along the way at top secret live grow rooms best local dispensaries headshops for glass blowing demonstrations. Once the journey reaches Cloud9 High Life's party bus will make a u-turn and head to some of So.Cals 420 friendliest and famous locations Venice Beach Santa Monica pier Hollywood were guest will see and visit strange carnival side shows, museums, street performers, street graffiti art murals and unique an tasty eateries. Nightlife mind journey tours stops at 420 friendly comedy shows local casinos and nightclubs.